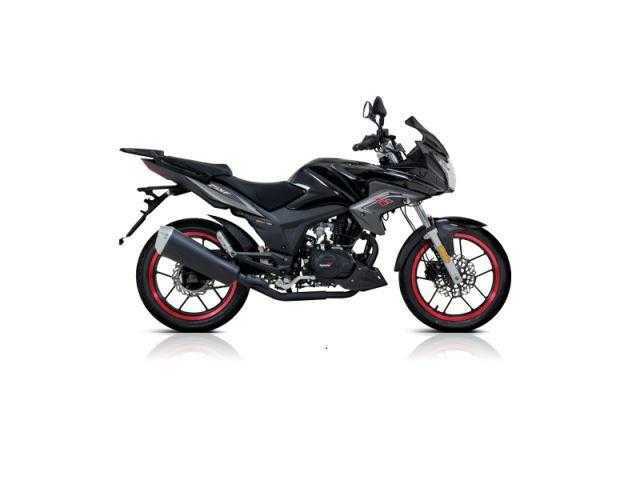 ZSX-F 125, Available in White or Black, £2195 â€œOn The Roadâ€ inc Road Tax,etc. Please contact us for a full personal quote over 12 or 24 or 36 months. The new ZSX-F 125 EFI offers the best commuter option available on the market. The new ZY125 engine delivers a fantastic smooth and reliable performance which is ideal for those looking to obtain a hassle free commute. With a half faired body the ZSX-F is able to provide weather protection to the rider whilst maintaining a comfortable seating position. With LED indicators and headlight accents and a digital display which conveys fuel, gear, speed and trip functions the bike is able to keep its rider up to date with everything that they need to know. The ZSX-F features an upgrade of a rear disc brake and a mono rear shock to further improve the bikes handling and contro and also benefits from a 409 grade stainless steel exhaust system as standard. With the new upgraded specification which now includes Fuel injection technology and combined braking, the ZSX-F provides the ultimate value in commuter.